The infamous Trader Joe’s Gnocchi package directions results in soggy gnocchi that nobody wants, so we’re going step-by-step for you on How to Make Trader Joe’s Cauliflower Gnocchi! It’s a quick weeknight meal on a budget and is a great gluten-free alternative to a classic gnocchi. What has become an almost cult classic, is so good, and we’ve cracked the code on our favorite way to prepare it. 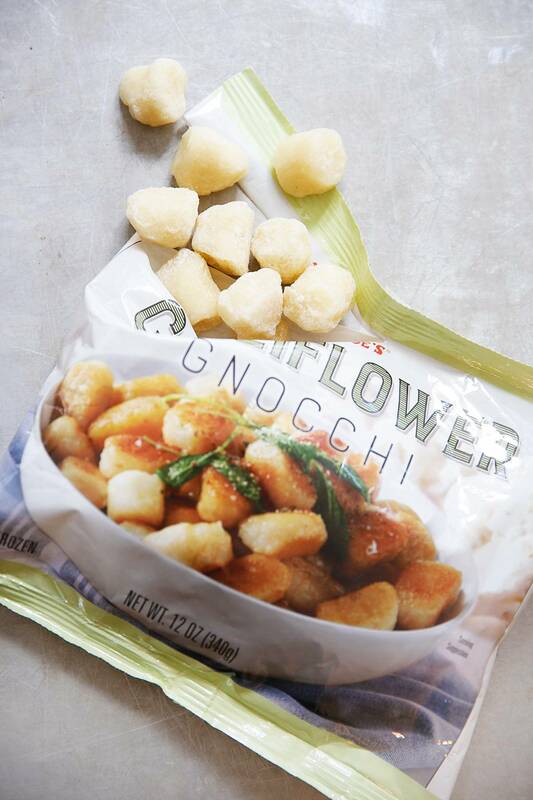 If you haven’t heard of the Trader Joe’s cult favorite Cauliflower Gnocchi, let us tell you a little bit about it! It’s inexpensive, sold for under $3, and made gluten-free with a hearty dose of veggie. Traditionally gnocchi is made with cooked potatoes that are bound together with egg and wheat flour. The TJ version is made with cauliflower and cassava flour, and a few other ingredients. To be clear, it’s not necessarily low-carb but it’s a healthier take with a classic flavor. The package directions produce a finished product that is a bit suspect so we’re going to go through step-by-step on How to Make Trader Joe’s Cauliflower Gnocchi into a quick weeknight Italian dinner! How do you cook cauliflower gnocchi? There are a few different ways to cook cauliflower gnocchi. But there is one way not to cook it, and that is do not cook it according to the package directions. We are looking for gnocchi that isn’t mushy and has a nice crispy coating so we’re using cooking methods that do just that! In the skillet: This is by far the easiest and simplest method (and our favorite)! 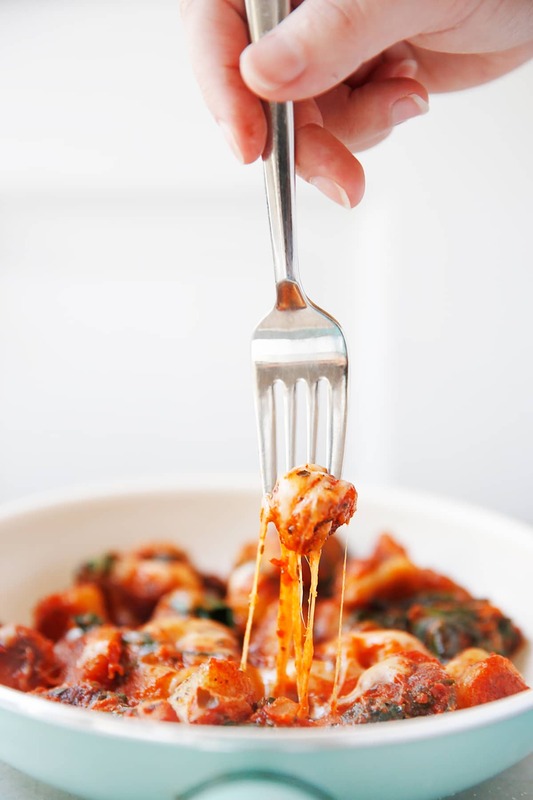 The main directions in our recipe include the step-by-step for skillet cooking because it is our preferred method for the best tasting gnocchi. It also makes the meal a one-pan dinner which is always a plus. In the air fryer: This is a simple way to crispy up the gnocchi, but the downside is that this cooking gadget isn’t that common and it still means you have to use other pots and pans to make a complete meal. In the oven: We offer directions for cooking the gnocchi on a sheet pan, but in all honestly it is our least favorite method. In order to achieve crispy gnocchi it has to have a long cook time, and just isn’t very efficient. But will lend itself to crispy gnocchi if left in there long enough. We serve this recipe with store-bought tomato sauce, spinach and cheese. It makes it a complete meal that is made in one pan and ready in under 30 minutes. Alternatively you could use a homemade tomato sauce, homemade meat sauce, a pesto, a pumpkin sauce or really any sauce that tastes good with gnocchi! The TJ’s cauliflower gnocchi is also a hit when served alone as an appetizer with a dipping sauce! Call ahead and ask them to set some aside for you. 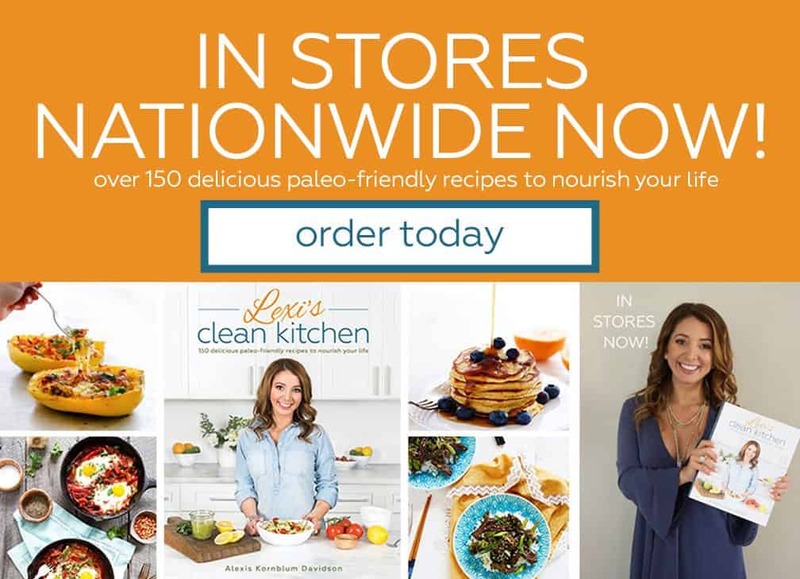 Find out when they get the shipments in, typically late at night before closing or first thing in the morning, so call ahead or plan to be at the store then. Buy in bulk. They are stored in the freezer so if you buy a bunch at a time (who bought 10 bags at once? 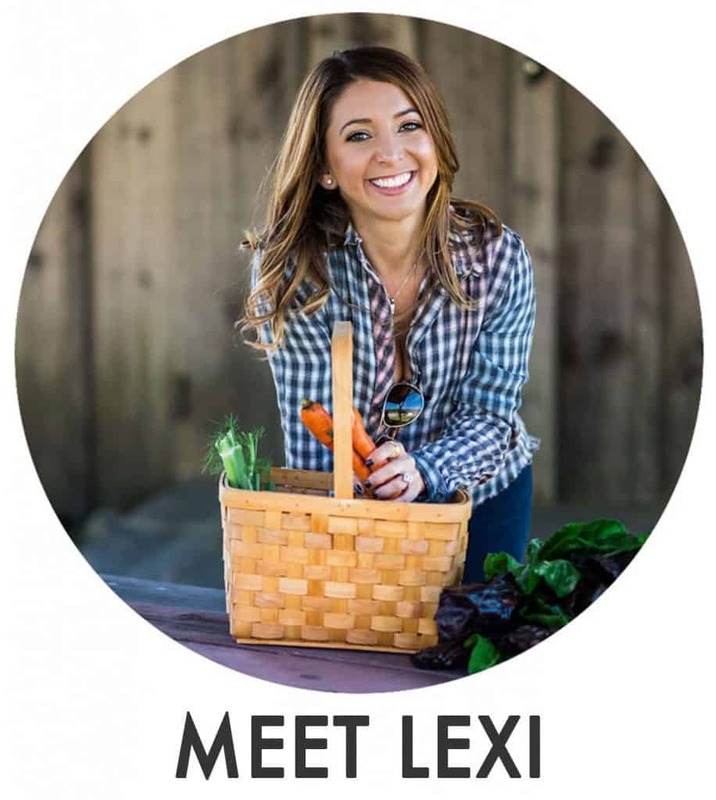 Ahem… not Lexi….) you won’t have to worry for a few weeks/months when they’ll be getting in another shipment. 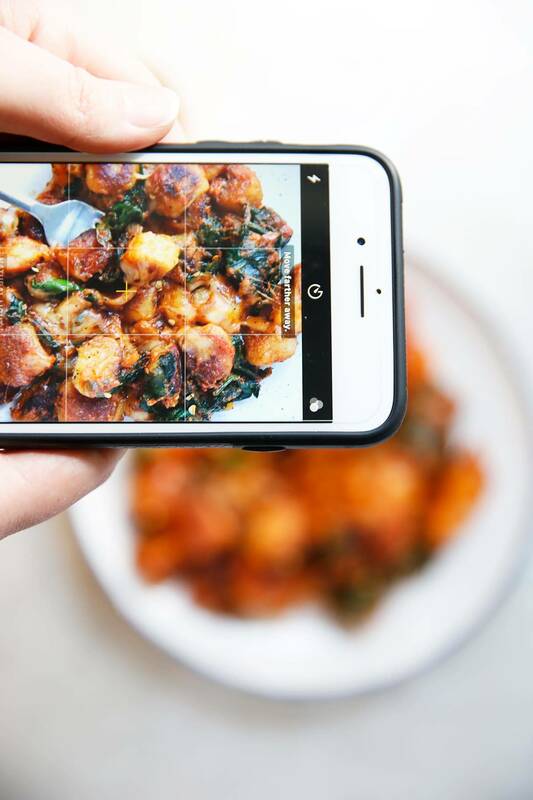 So jump on the Trader Joe’s Cauliflower Gnocchi train and get to the store to get yours and make sure to post it to Instagram. Because with this one, if you didn’t post it to Instagram, did it even happen? Defrost the gnocchi: You can either let thaw out on the counter for an hour or you can microwave the gnocchi on a plate for 2-4 minutes. Once thawed you want to pat dry any condensation. In a large non-stick or well-seasoned cast iron skillet heat 2 tablespoon oil until it’s hot add the gnocchi in an even layer. Let the gnocchi sit undisturbed for 3 minutes. Flip the gnocchi and repeat until they are a light brown and crispy. Add in spinach and stir until it is all wilted. Add in garlic powder, Italian seasoning, a pinch of red pepper flakes and marinara sauce and toss until combined. Sprinkle with cheese and cover for 3-5 amount of minutes, or until the cheese and sauce is hot and bubbly. Partially defrost the gnocchi, about 2 minutes in the microwave, making sure to break apart any gnocchi stuck together. Spray the air-fryer basket with avocado spray. Lay 1/2 the gnocchi from one bag inside the basket and spray it once more. Cook for 12 minutes, flipping halfway through. Repeat with the remaining bag. Place defrosted gnocchi on the baking sheet and spray with avocado oil spray or cooking spray of choice. Toss to coat. Bake for 20 minutes, flip, and bake for an additional 20 minutes until the gnocchi is golden brown and crispy on the outside. 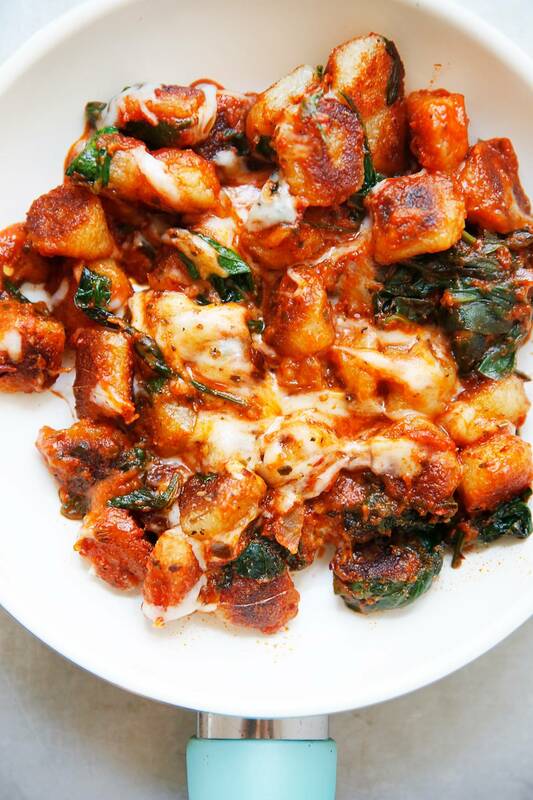 What is your favorite way to make Trader Joe’s Cauliflower Gnocchi? 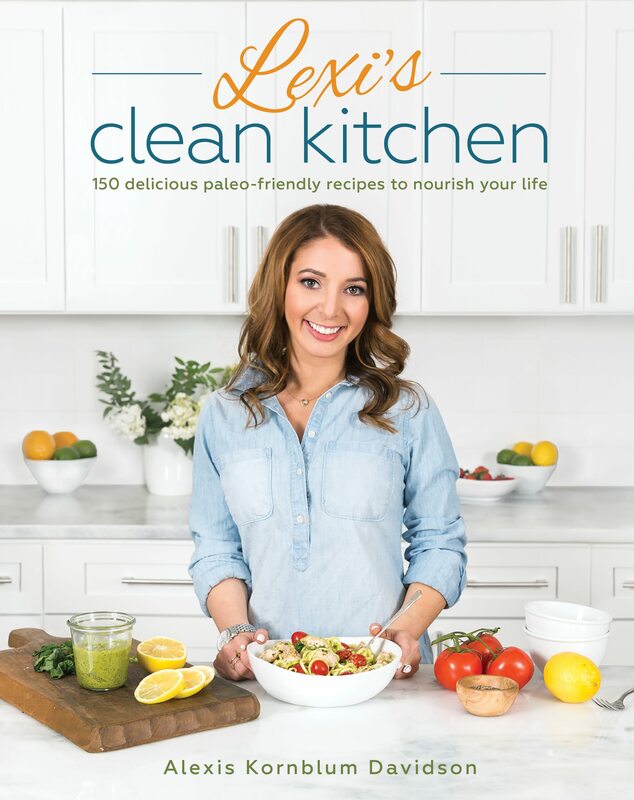 I often get asked about my pantry staples, and how to save money while stocking a clean kitchen! 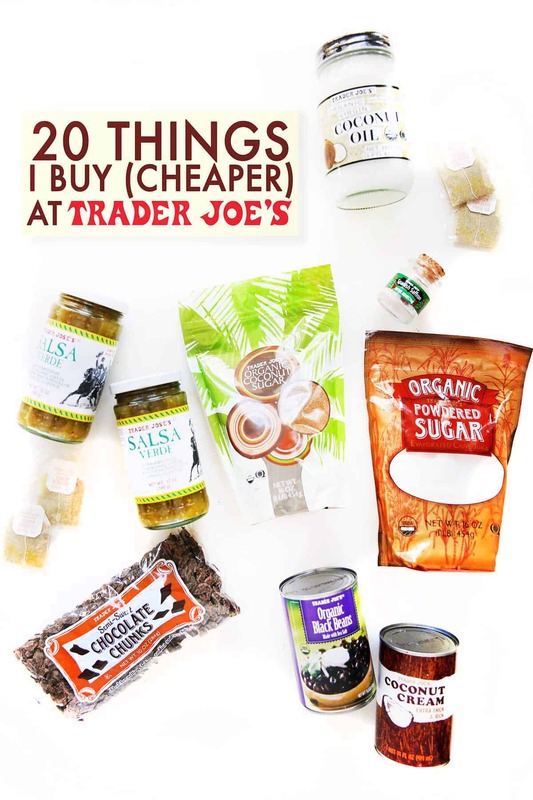 I shop at a variety of stores to get the best deals and the best quality products, so here are 20 Things I Buy (Cheaper) at Trader Joe’s! P.S. I heard they have a new Everything Bagel Seasoning that is on my list to try next! They also have a marinara sauce without any added sugar! What are your favorite products at Trader Joe’s? What would you add to this list?